Great experience overall. The staff was incredibly friendly and helpful. There's no keys so check out was a breeze. Got there a little early and they let us check in early. Very friendly staff. House was very clean and exactly as promised. Location was everything we were hoping for. House is in need of a deep cleaning, paint job, & furniture upgrade. The beds are incredibly uncomfortable and I was experiencing the worst allergies. I realized why I had congestion and constant sneezing at night when I moved the night stand.. Dust every where. The house doesnt come with cleaning supplies or a decent broom so that made it difficult to maintain the house during our stay. As you can imagine being on the sand tracks in alot of debris. The couch needs to be disposed of as it smells of mildew. I had sit on a towel in order to sit on the couch. Very few windows have screens so flies were constantly in the house. The house location is the only reason for 3 stars. As for property management company, I will probably avoid Burr White going forward unless working with Diane. Kristen, Thank you for taking the time to share your feedback with us. We want every guest to have an exceptional stay in Newport Beach and certainly apologize that your stay did not meet your expectations. Our maintenance staff has been notified of the issues you brought to our attention. 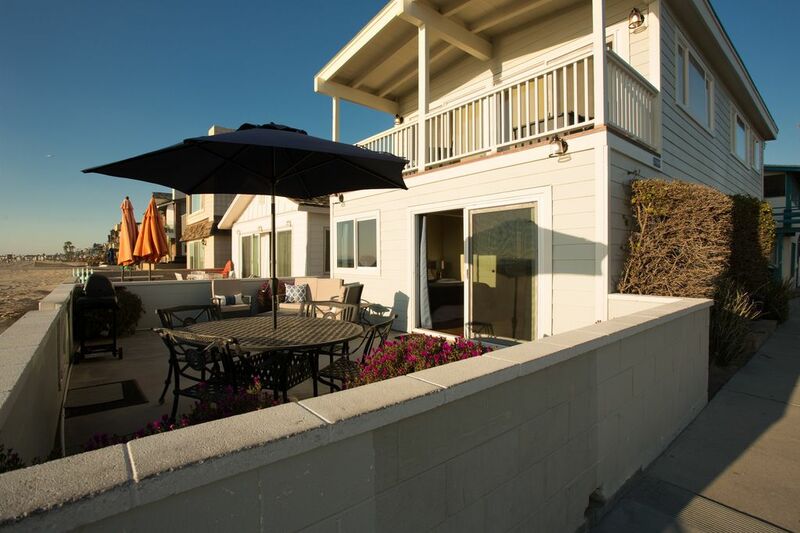 We look forward to seeing you again on your next Newport Beach getaway and look forward to the opportunity to provide a more relaxing and enjoyable experience. Beach house fun... But time to move on. We've rented this home a few times,always a blast. Great location. Some updates have been done, needs way more.After the first year we rented we suggested a new master bed mattress. Still old. It's very uncomfortable to sleep on, so hubby & I end up sleeping separate and upstairs. Home needs some love. New mattress/kitchen supplies.a little attention would go a long way. So for this reason I've opted to rent a different location in the future that is upgraded & comparable in price in just as great a location. So it's been fun but we feel for the price we pay, several thousands of dollars per week, we will find something that has been loved a bit more. Thank you for the fun memories. Our comfort is also a priority and we are sad to go. Brandi, Thank you for taking the time to review your stay. Your comments will be passed onto the owner of the property. The location is great. The beds are super uncomfortable and we did not have air conditioning on the really hot week. We actually checked into the Lido House Marriott for our last 3 days.